President Juan Manuel Santos apologized to the Peace Community of San Jose de Apartado, which opted for peaceful resistance in the midsts of armed conflict, and were in the past accused erroneously by the authorities of supporting the FARC. Santos announced his apologies, referring to the the actions of his Government on this subject, in the name of the State and in compliance with a provision of the Constitutional Court, during a commemoration for the International Day of Human Rights. Santos also recalled the pacifism of the late South African leader Nelson Mandela. 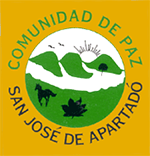 “Some years ago, from the Presidency of the nation, unjust accusations were made against a community – the Peace Community of San Jose de Apartado. With respect to this, the Constitutional Court ordered the State, through its head the President, to retract”, said Santos.